These are pretty little 6mm half-drilled green onyx round beads. You will get 1 pair (2 beads). White Onyx Gemstone Smooth 4mm Round Seed Beads, Strand Approx 15"
A super strand of pure white Onyx gemstone smooth 4mm round beads. Strand approx. Drilled Black Onyx Beads. Average Size 1.2cm x 1.2cm x 1.5cm. Weight 66gms. Great For Jewellery Making. 8mm Natural Matted G emstone Round Beads. 8mm Natural Gemstone Round Beads. FAST DESPATCH. These are pretty little 4mm half-drilled green onyx round beads. You will get 2 pairs (4 beads). Black Onyx Rice Bead 8x12mm approx 15.5"
Black Onyx Round Bead approx 15.5"
Black Stone Cube Beads. Size: 10mm. Hole: 1.0mm. 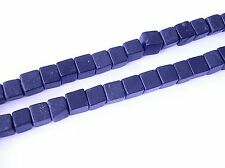 These are pretty little 4mm half-drilled blue onyx round beads. You will get 2 pairs (4 beads). These are cute little polished green new jade bear beads. You will get 5 beads per bag. 3mm Natural Gemstone Round Beads. 3mm Natural G emstone Round Beads. FAST DESPATCH. Faceted Onyx Olive 14 x 30mm x 2 pieces. Rhodonite Round Beads. Hole: 0.8mm. Black Stone Cube Beads. Hole: 1.0mm. Drilled through body top to bottom. 4-9mm round gemstone beads.80 beads. Ideal for small projects. 8mm Natural Dyed Gemstone Round Beads. 8mm Natural Dyed G emstone Round Beads. 8mm Natural Gemstone Round Beads. 8mm Natural G emstone Round Beads. FAST DESPATCH. 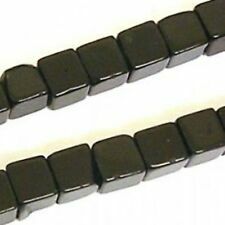 Black Onyx Cube Beads. Hole: 1.0mm. White Onyx Gemstone Smooth 8mm Round Beads, Strand Approx 15 1/2"
A super strand of pure white Onyx gemstone smooth 8mm round beads. Strand approx. Black Onyx Beads, Heart Shaped, String of 13, Brand New. A string of gorgeous Onyx gemstone beads in a puffed heart shape. Onyx is variety of Chalcedony Quartz, ranging from white to Black. For centuries now the black variety of this semi-precious gemstone has been very popular in the form of both Cabochons and Beads in jewellery making. Shape – Teardrop. Material - Onyx. Colour – Black. We are human we do make mistakes and on these rare occasions we will do our best to put things right. 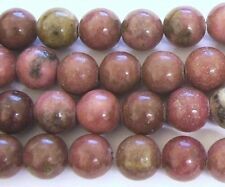 Rhodonite Round Beads. Size: 10mm. 5 Black butterfly beads for jewellery making. Black Butterfly Beads. Beads and bits for creative mitts. Hole size: 1.5mm. Gorgeous Sardonyx. Faceted Oval Beads. 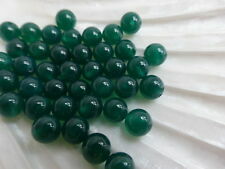 120cts Green Onyx Plain Small Nuggets Approx From 2x1 to 9x1mm, 84cm Strand. Getting harder to part with my strands, but needs must! Shape – Teardrop (carved fluted). Material - Onyx. Size – approx 10mm. Colour – Black. We are human we do make mistakes and on these rare occasions we will do our best to put things right. 24-48 hour dispatch. 16" Strand of Stunning Onyx Twisted Rice Beads. Apx 32 per strand. 10 Blackstone black bevelled teardrop beads for jewellery making. Blackstone Teardrop Beads. Beads and bits for creative mitts. Hole size: 1mm. Strand of Black Onyx Teardrop beads. 2 Strand 4mm Black Onyx Round Gemstone Gems Beads 15.5"
Black Onyx is the birthstone for February. It is a fourth, seventh, and tenth wedding anniversary gift stone in Western cultures. New age thinkers attribute it with abilities in the areas of regeneration, happiness, intuition, and instincts.They are good for necklaces, bracelets and earrings. 30mmX10mm faceted drops. Ideal for jewellery making. For earring, pendants and to incorporate into designs with other beads. See more beads in our shopIrish Jewellery and Gifts We are happy to combine postage. It is a fourth, seventh, and tenth wedding anniversary gift stone in Western cultures. New age thinkers attribute it with abilities in the areas of regeneration, happiness, intuition,and instincts.They are good for necklaces, bracelets and earrings.